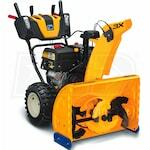 A three-stage snow thrower is reserved for the toughest, wettest snow blower jobs. These are used to tackle up to 24 inches of snow at once and throw it more than 30 feet. Three-stage blower technology can be difficult to distinguish, so we’ve created best-selling, top-rated and expert-recommended lists to make it simple. These will guide you in making the right decision. 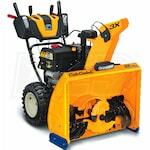 You can also check out our Three-Stage Snow Blower Buying Guide for even more tips. 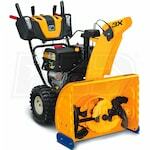 Best Three-Stage Snowblowers.. Our Power Equipment Direct how-to library can help you learn about Top-Rated & Best-Selling Three-Stage Snowblowers, Farmers Almanac Winter Weather Predictions and Proposition 65 Product Labeling.